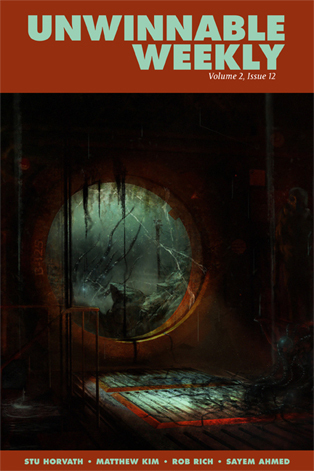 It would be understandable for someone to look at Frictional Games’ SOMA and expect something that’s basically Amnesia: The Dark Decent in a more science-fictiony setting. Not just because they’re the same developers, but because most of the trailers we’ve seen really push the “hiding from horrible monsters” angle. This is actually a pretty clever ruse, because as frightening as those monsters are they pale in comparison to SOMA’s most terrifying elements. The bulk of SOMA takes place in a large, failing underwater facility called Pathos II that was once used to launch satellites and such into space (via what looks like a massive rail cannon). Something really bad went down there. This was all before you, in the shoes of a man named Simon Jarett, show up. People are missing or dead, dangerous machines stalk the halls and there’s some kind of weird growth spreading all over the place. On its face, this isn’t exactly a mold-breaking approach to horror, but the real tragedy of Pathos II (and everyone in it) comes to light at a slow and steady pace – eventually replacing the general spookiness with sadness, pity, and even revulsion. Yes, the machines went berserk and started killing everyone, but there’s so much more to it than a basic sci-fi horror movie setup. While everyone at Pathos II was dealing with their day-to-day activities, and what I’d imagine is a fair bit of claustrophobia, a comet struck the planet and wiped out all life on the surface. Suddenly the entire human population went from several billion to just a hundred or so, with the survivors stuck at the bottom of the ocean. No outside help, no families or loved ones left and no supplies coming in. The results of this global tragedy are revealed little by little through heartbreaking journal entries, recordings and environmental clues. These people didn’t have any hope to cling to. Pathos II won’t last forever, they had no way to leave and no outside help would be coming. They were trapped and they all knew it. Right around this time, the facility’s AI, called the “WAU,” decided it would do its part to try and preserve humanity. Problem is, it did so by “infecting” both mechanical and organic tissue alike. This infection created monstrous beings that stalked the halls and deposited what can best be described as ghosts of the deceased into many of the worker robots. Those robots continue to wander around, thinking that they still worked there – and that they were still human. The WAU also absorbed the still-living crew members into fleshy growths that were spreading everywhere, keeping them alive for God knows how long, in a state that could best be described as horrific. When I come across a lucid victim of the WAU’s assimilation, a woman who was partially encased in some kind of bio-mechanical life-support system, it is downright disturbing. The wires and tubes that connect her to the machine look as though they’d grabbed her and burrowed into her flesh. Part of this apparatus pulses steadily with every breath she takes. The machine is certainly keeping her alive, but it is a hollow and torturous life. 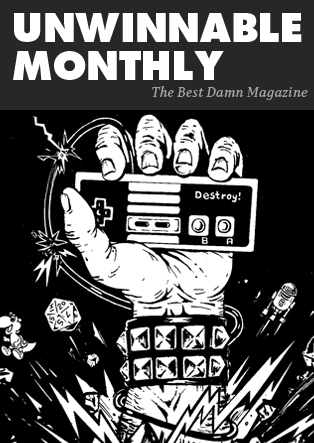 You’ve been reading an excerpt from Unwinnable Monthly Issue 64.